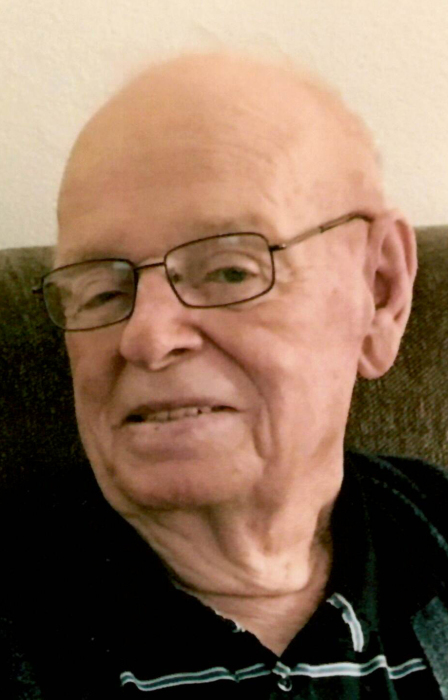 Raymond (Steve) Kautzman, 86, longtime resident of New Salem, ND, passed away peacefully on January 30, 2019 after a short battle with cancer at his home in Mandan, ND. Mass of Christian Burial will be held on Monday, February 4, 2019 at 10:30 AM, St. Joseph Catholic Church, Mandan with Rev. Jarad Wolf as celebrant. Burial will be held at the North Dakota Veterans Cemetery in Mandan following the service. Visitation will be held from 1:00 PM to 4:00 PM on Sunday, February 3, 2019, with a Rosary at 4:00 PM at Weigel Funeral Home, Mandan. Steve was born on October 27, 1932 to Emil and Margaret (Miller) Kautzman. He was raised on the family farm and was educated in Judson, ND. He joined the United States Army in 1953. He was enroute to the Korean War when the armistice was signed in July of 1953. He was fond of telling people that the communists gave up because they heard he was coming. Upon his return, he married Ida Kopp on December 30, 1957 in St. Gertrude, ND. They made their home in Mandan before moving to New Salem in 1968. Steve drove a gas transport for the better part of four decades. When asked why he chose truck driving for a living, his response was “If you are in a truck all day, you don’t have to listen to anyone”. He was an avid sports fan and quite the baseball player in his own right. He spoke glowingly of the time he hit a homerun in Jamestown. After the game, on the ride back to Judson, he was sure the ball was still going up; it was hit that well. Steve held a special spot in his heart for two places, his couch and the New Salem golf course. He spent many summers trying to master the game of golf (and keep the cart running). He constantly tinkered with his grip and stance in relentless pursuit of the perfect round. He did things his way and made no apologies for it. He was an honest man, full of faith and he will be deeply missed by those that knew him well. Steve is survived by his loving wife of 61 years, Ida; his children, Brad (Darlene), Bismarck, Cheryl (Nick) Kraft, Mandan, Gerald (Mary), Mandan, and Keith (Jodi), Mandan; brothers, Ed (Geri) Bismarck, Jim (Pat), New Salem, Ben, Lisbon ND; sisters, Minnie, Colorado, Eleanor, California and Peggy, Colorado; sister-in-law, Virginia Kautzman, Mandan; his grandchildren, Cody and Cayle Kautzman, Tandra (Doug Preskey), Terry and Tom (Amy) Kraft, Courtney, Zach and Emily Kautzman, and Kennedi and Quincy Kautzman; one great grandchild, Keegan Kautzman; his sisters-in-law, Rosie Hersch, Ann Collingwood and Joni Christopherson; and his brothers-in-law, Bruce Scharmer and Jim Gerhardt. Steve was preceded in death by his parents; brothers, Jack, David and Kenneth; his sister, Clara Ferderer; and one grandson, Casey Kautzman. His in-laws, Mark and Billie Klein, Vi Scharmer, Linda Klein, Joe Hersch, Norm Collingwood, Chris and Leona Gerhardt, Vicki Gerhardt, David and Alice Utter, Renee Powers, Les Kopp, Otto Kopp, Albin Kopp and Don Christopherson. Go to Steve's Tribute Wall to sign the online guestbook and share memories with his family.